Extended deadline for staff exchange call – Apply by April 30th!!! The deadline for the first ENVRIplus call for staff exchange has been extended. You can apply by April 30th. To support its objectives, ENVRIplus launches an Exchange of Personnel (EoP) program to enhance cross-Research infrastructure mobility of involved RI staff. This program will help disseminating the know-how of RI specialists and provide practical hands-on experience on the operation procedures. A series of cross-domain staff exchange positions will be organized based on 2 internal open calls launched early in the life of the ENVRIplus project. The exchange will take the form of short stays in the RI, organized either on a unilateral (1 person from one RI goes to another RI), bilateral (between two RIs involving 1 person from each RI), or on trilateral basis (involving 3 institutes and 3 staff persons in total). While bilateral and trilateral exchange will strongly be preferred, proposals for unilateral exchange will also be considered. The principal activity of the exchanged personnel during his/her stay at the RI should aim at cross-fertilization of ideas and experiences of RI staff and promote knowledge transfer of new technologies, best practices, protocols, approaches and policies of RIs instead of data acquisition or fundamental research. 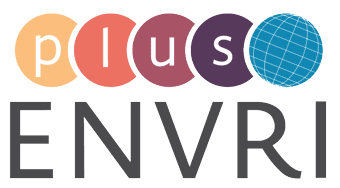 One of the objectives of ENVRIplus is to facilitate the exchange of knowledge among staff working in Research Infrastructures (RI) or related to the implementation of new RI’s. ENVRIplus therefore launches an Exchange of Personnel (EoP) programme to enhance cross-RI mobility of involved RI staff. This program will help disseminating the know-how of RI specialists and provide practical hands-on experience on the operation procedures. A series of cross-domain staff exchange positions will be organized based on 2 internal open calls launched early in the life of the ENVRIplus project. The exchange will take the form of short stays in the RI, organized either on a unilateral (1 person from one RI goes to another RI), bilateral (between two RIs involving 1 person from each RI), or on triangular basis (involving 3 institutes and 3 staff persons in total). While bilateral and trilateral exchange will strongly be preferred, proposals for unilateral exchange will also be considered. Applications have to be submitted by Email to the leader of workpackage 16.1 [rhuber@uni-bremen.de] who will forward these to the ENVRIplus Executive Board (EB). The EB will nominate a group of internal reviewers who will give their recommendations to the EB. The final approval of applications will be met by the EB. For applications please use the forms available for download here. Submitted proposals for EoP projects should involve two or three RIs planning to exchange staff across RI domains on a uni-, bi- or trilateral basis within dedicated knowledge sharing projects hereinafter called the EoP project. EoP should foresee short stays of applicants of up to 4 weeks at ENVRIplus partner RIs. Eligible applications must demonstrate the scientific, strategic or technical relevance for involved Research Infrastructures, the planned activities, objectives, and must describe the planned methodology and implementation. Most relevant are the offered access options to data or physical infrastructure and logistic as well as the support offered by involved RIs. have to maintain and provide appropriate documentation on the progress and results of the EoP project. must respect the rules and regulations foreseen to protect the foreground and background of involved ENVRIplus project partners as defined within the ENVRIplus consortium agreement. Successful EoP applicants must document their stay at the hosting RI and must provide short reports on their EoP progress and results. Reimbursement of travel expenses will not be processed prior to the acceptance of reports by the ENVRIplus Executive Board. All publications and research data generated during the EoP should be compliant with the data management plan of the project.